Chicken Divan has been a staple casserole in my family since I can remember. Dinner guests, friends, and extended family members alike have taken seconds of this hearty casserole, then licked the plate clean. The hint of mustard in the Cream of Chicken based sauce give this dish its alluring appeal, and keeps forks wanting more. As an adult, I cook Chicken Divan on Sundays and package the leftovers into individual containers to bring to work over the course of the week. Added bonus, this casserole freezes very well! Chicken Divan is a classic American recipe that everyone makes slightly different. (Case in point: Paula Deen’s version). Many versions of this casserole include cheddar cheese, which my Mom never added. When parboiling the chicken, my Mom added whole peppercorns and bay leaves to the water to flavor the chicken (and to make our kitchen smell like Italy). Since graduate school–when I cooked instead of eating in a dining hall–I have gradually made *gasp* modifications to this recipe. Instead of spooning the casserole over a bed of rice, I now use quinoa. 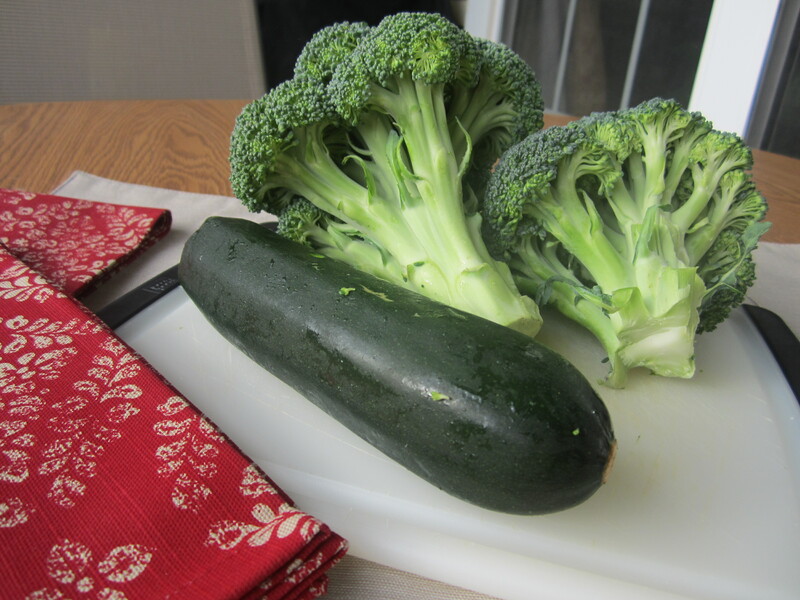 In addition to the broccoli florets, I also add zucchini, sliced into half moons, and a half a yellow onion, sliced into slivers. For the sauce, I now use gluten-free Cream of Chicken Condensed Soup in place of the classic Campbell’s (wheat) version. However, there are two things I will not change. The good ol’ Dijon mustard, and the chicken. The mustard makes the whole dish, and the chicken? Well, this is CHICKEN Divan, after all. 2. Cook quinoa according to package directions, set aside and keep warm. 3. Fill a large pot with water and submerge both chicken breasts along with bay leaves and peppercorns. Bring to a boil and cook for 10 minutes or until chicken is completely cooked through. Drain water and set chicken aside to cool. 4. Wash and cut broccoli crowns into florets. Slice onion into thin slivers. Wash and slice zucchini into half moon shapes. Mix together and place in the bottom of a glass quart dish. 5. In a large bowl, combine soup, mayonnaise, mustard, and salt and pepper. Set aside. 6. Once chicken has cooled enough to handle. Slice into 1″ long pieces and layer on top of vegetable mixture. Top evenly with the soup mixure. 7. Bake uncovered for 35-40 minutes or until top is golden brown and you see the sauce bubbling within the glass dish. 8. 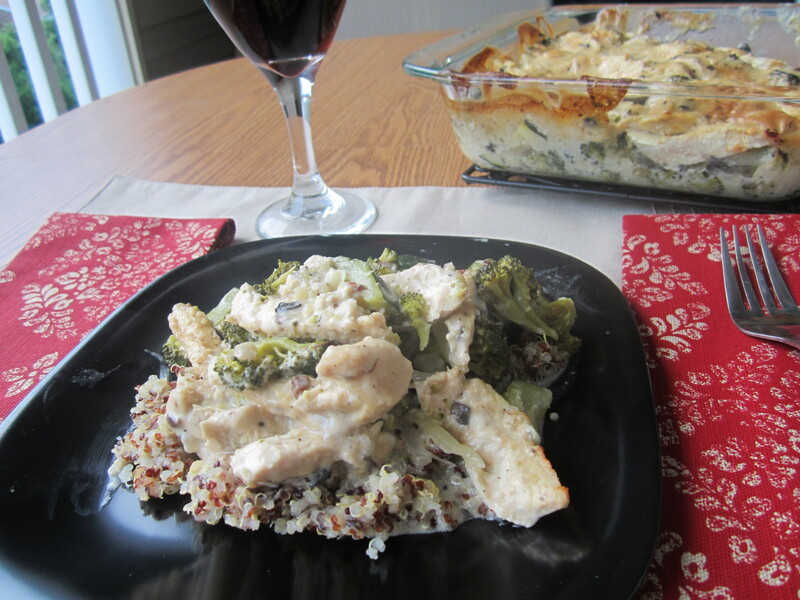 Let the Chicken Divan sit for 10 minutes before serving over a bed of quinoa. 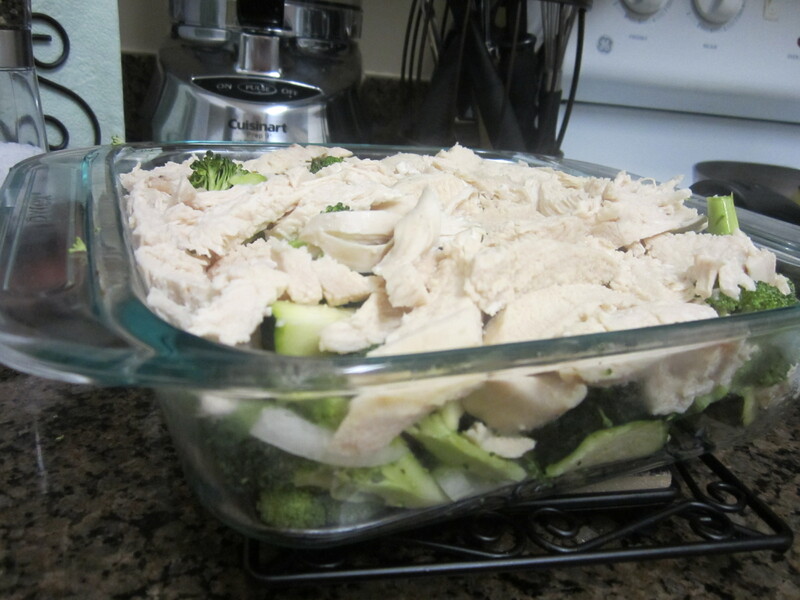 This entry was posted in Casserole, Comfort Food, Poultry and tagged Broccoli, Cream of Mushroom Soup, Dijon Mustard, Poultry, Quinoa, Zucchini. Bookmark the permalink.